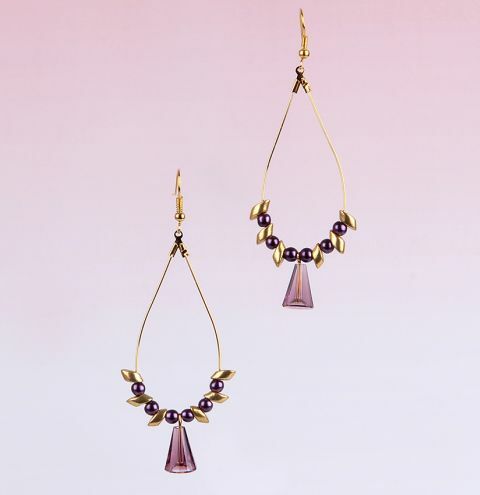 Create these stunning amethyst drop earrings using Swarovski pearls and our new drop frames. Attach the Swarovski drop using a headpin and repeat step one. Clip the wire back into the frame and attach your earwire.